Website: Please find further information here. 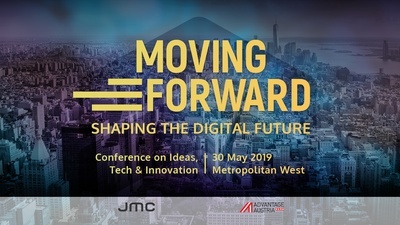 We partner with Moving Forward again for an event, which will once again bring together executives, founders, startups, creatives, as well as tech and industry leaders at Metropolitan West NYC on May 30, 2019. Join our partners and us for a conference that will cover the most relevant trends and developments in tech, business and culture! Topics Include: Artificial Intelligence, Blockchain & Cryptocurrency, Digital Tranformation, Design, Diversity, E-Health, FinTech, GreenTech, Media, Mobility, Social Media, Startups, Sustainability, and more! Get 30% discount on your ticket with the code GACCMFNYC. Get 30% discount on your ticket with the code GACCMFNYC here.